Today’s gamer vocabulary word is MOBA. MOBA stands for “Multiplayer Online Battle Arena”. It is a genre popularized by the Defense of the Ancients (DotA) mod for Warcraft 3. A MOBA match consists of two teams of 5 players each. Each player controls a single character. The object is to destroy the opposing teams main structure. This is accomplished by leveling the character up through killing the computer and player controlled enemies. 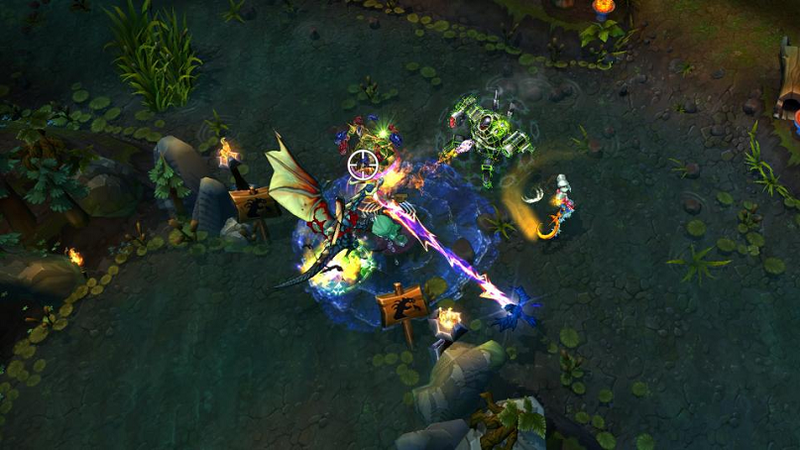 The MOBA genre has significantly contributed to the recent rise of esports. The two main players in this space are League of Legends and Dota 2. Here is what a professional League of Legends match is like.